Startup Extreme is fast approaching. The event is comprised of two elements and spans three days. We are kicking off with our one day Conference in Bergen, then moving onto the two day Summit in Voss. Make sure you're prepared by finding out all you need know from our FAQs. 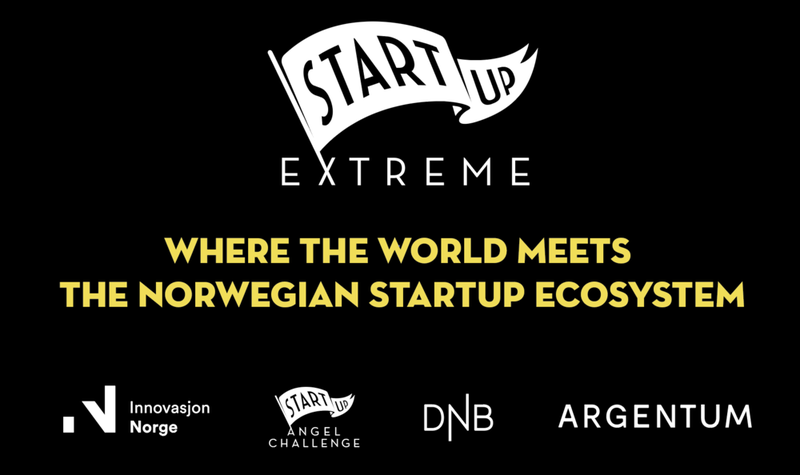 The Startup Extreme Conference is in Bergen on June 12th, 2018. + Where is the conference? The venue of Startup Extreme Conference is Ole Bull Scene @ Øvre Bullsplass 3, Bergen, 5012. Want to learn more? Check out the website. Plan your local travel here. Bergen Airport Flesland is located 18 km from Bergen City center and it takes 27-32 min with the airport bus to travel to the event. Airport Busses depart every 10-15 minutes from 06:00-20:00 from Monday-Friday. Last departure from the airport coincides with the last scheduled flight. Choose Route: "Bergen sentrum - Bergen lufthavn". Bybanen. It's just a short walk from here to the venue. Taxi 1 +47(0)5501 and Bergen Taxi (+47(0)7000) operate the whole region, and taxi stations are located in all districts, by shopping centres, bus terminals and at Bergen Airport Flesland. The closest & most convenient parking options are here which is just a short walk away from the venue. + Where can I stay in Bergen? We have personal experience and can recommned Scandic Hotels in Bergen. If you are coming with a group, check out AirBnB. To book other accommodations, click HERE. + What is there to do in Bergen? Bergen is the gateway to the world-famous fjords of Norway. The schedule on 12th June is jam packed but if you're planning on staying in Bergem for a few days, there are lots of suggestions on Visit Bergen´s website. Here you can find information on things to do, accommodation, activities, adventures and much more. + Can I pitch my startup at the conference? There will be opportunities for startups to pitch to investors and media at Startup Extreme. Watch this space for more information to come! + What can I expect from Startup Extreme conference? You can expect to have a blast, whilst keeping up to speed with the latest trends from our knowledgeable speakers. This year we aim to utlise the space around the venue for a real conference-fest feel! The theme is Scaleups so expect to hear from the best of the best in regards to scaling up businesses. + I still have questions? + When is the summit? The Startup Extreme Summit is in Voss on 12th -14th of June, 2018. Participants are shuttled from the conference in Bergen on the evening of the 12th. + Where is the summit held? Startup Extreme Summit will take place at the scenic Voss Resort Bavallstunet and surroundings. See map for more details. As participant, transport is provided by Startup Extreme from Bergen to Voss by bus. Transport within Voss to and from the activities will also be provided. + How do I get home after the event? On 14th June at 12:30, you will be transported by bus to Voss train station, Bergen City Center, Bergen train station or Bergen Airport. You will then need to make your own travel arrangements to your preferred destination (e.g Oslo). The busses will arrive approximately at 14.30 in Bergen airport, train station and city centre. IMPORTANT: If you are booking a flight, it would be safe to book flights after 5pm. If you are scheduling a train from Voss, it would be safer to book after 1pm. + Where can I stay in Voss? For the duration of the Summit, you are staying in the cabins at Voss Resort, which is also the place of the summit. Those who receive an invitation to the summit will be provided with more info and link on how to book their stay here. We are providing a true and authentic Norwegian experience for all participants of Startup Extreme. A typical Norwegian cabin can house 6-8 people with a shared living room, dining area, kitchen and bathroom, and overlooks a breathtaking view of the Norwegian mountains. There are 3 options of rooms in the cabin for you to book. Please note that you can NOT book a whole cabin for yourself. Note: All of the listed options includes bed-linen/towels and cleaning. Even though you book a single room, you will share bathroom, kitchen and living room with other attendees. Want to share a room with other attendees including your friends or colleagues? This option includes 2-4 beds per room in the form of bunk-beds or a mezzanine. Want to share a room with your partner or go top & tails with your friend? This option includes a double bed in a private room. Both attendees have to book separately within 24 hours of one another to secure a double room and name the person they wish to share with. Price: 1600 NOK per person for 2 nights incl. taxes. Want some peace & quiet after a busy day of networking & extreme sport? This option includes a bed for one person in a private room. + What is there to do in Voss? Voss is the extreme sports capital of Norway, but is also known for it's beautiful and exotic nature. We have a fully packed program during the summit, if you decide to stay in Voss for a day or two after the event, check out Visit Voss for more info. For car rental, visit Rent-A-Wreck . If you are planning on staying in Voss after the event, there are several places you can book. As always, you can also checkout Visit Norway for more inspiration for your trip. + Do I need insurance? IMPORTANT: Getting accepted in to Startup Extreme Summit requires you to have insurance to take part in the extreme sport activities. Startup Extreme takes NO liability for any injuries occurred during Startup Extreme 2018. + What type of extreme activity can I partake in? Stand Up Paddle Boarding is a great and fun to navigate through the calm waves of the Norwegian fjord. You will experience how to balanced yourself on the paddle board while also soaking up the breathtaking nature around you. Beginner / Intermediate You will be guided through the forest through a smooth singletrack, and learn to maneuver your bike and maybe ride over logs. This is a fun activity to explore mountain biking, or to get more mileage and experience if you've mountain-biked before. You will be going through aggressive terrain that might include tight trees, mud, loose rocks and sand. You might be biking over tree logs and roots that are not rollable. This is one activity not for the faint-hearted! Learn to fly your body in one of the world's most advanced wind tunnels! Definitely one of the coolest and iconic experiences in Voss to kickstart your adrenaline. Test your agility and pivot through a session corresponding to 4 free-fall skydiving jumps. Then follow with rappelling down the side of the wind-tunnel building. This activity cost NOK 2299 including taxes, film, insurance, all equipment and transport. This is available in limited numbers. Tandem paragliding starts with a safety briefing, gear-up, connect to the pilot harness and paraglider then run off a hill and discovery the airborne feeling. This activity cost NOK 2399 including taxes, film, insurance, all equipment and transport. This is available in limited numbers. The Park consists of Main and Micro high rope courses and a Zip-line course, with 60 elements in total. High Rope Courses are all about personal challenge and discovery as you make your way through the climbing and balancing elements hanging between the trees. You will overcome your fears and help others with theirs whilst having fun all the way round! PLEASE NOTE: Paragliding and skydiving are very dependent on weather. Safety is paramount, and we will only fly if the weather conditions permit it. If the selected day turns out to be unflyable, we will contact you to cancel the flight. Breakfast, lunch & dinner will be provided during the summit, including a very Extreme Dinner. After a day of extreme activities on the 13th, we will have an Extreme Dinner at the Extreme Camp where you will be served authentic Norwegian dishes...such as a burned sheep’s head! It's in the true spirit of Startup Extreme. We don't call it Startup Extreme for no reason. Sheep’s head not something for you? Don’t worry, there are other options that you can choose. + What do I need to pack? + What method can I use to pay for purchases at Voss? Card only! We do not accept cash at Voss, please be sure to bring a card with you. + What can I expect from the Summit? Expect the unexpected, Startup Extreme Summit is like no conference you've taken part in before. Networking with an intimate group of hand selected attendees to help you achieve your own goals, whether that's scaling your business or promoting your ideas. LASTLY, IS THIS REALLY THE MOST EXTREME STARTUP EVENT IN THE WORLD? Where else can you go skydiving with a potential investor or pitch your startup while kayaking with the media?